This dashboard project was focused on the research of 2017 Seattle/King County Homeless Young Adults with an emphasis in chronic homelessness. 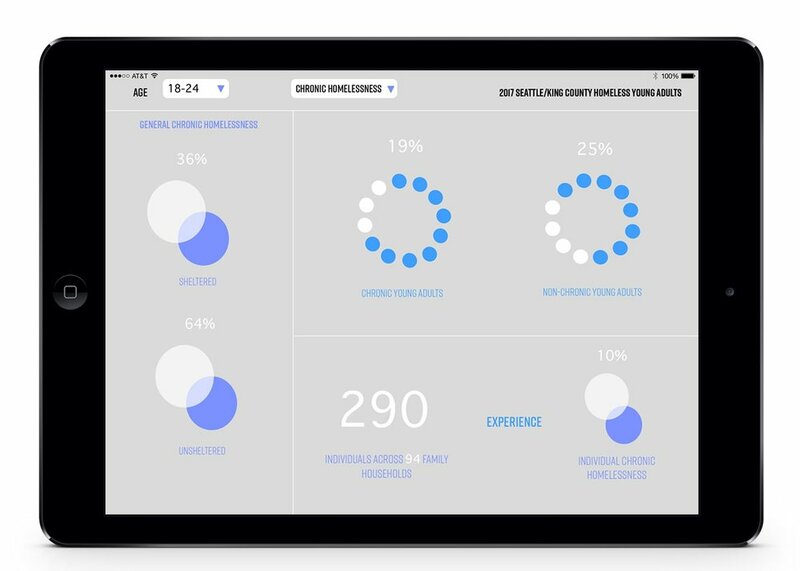 Four dashboards were designed to represent the data in this extensive research. 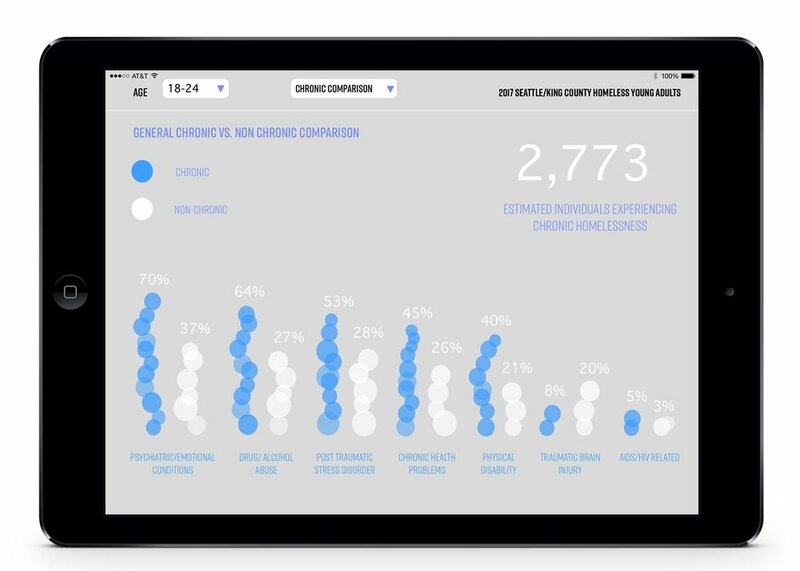 The data in each dashboard displays the number of sheltered vs. unsheltered in this category of chronic homelessness. 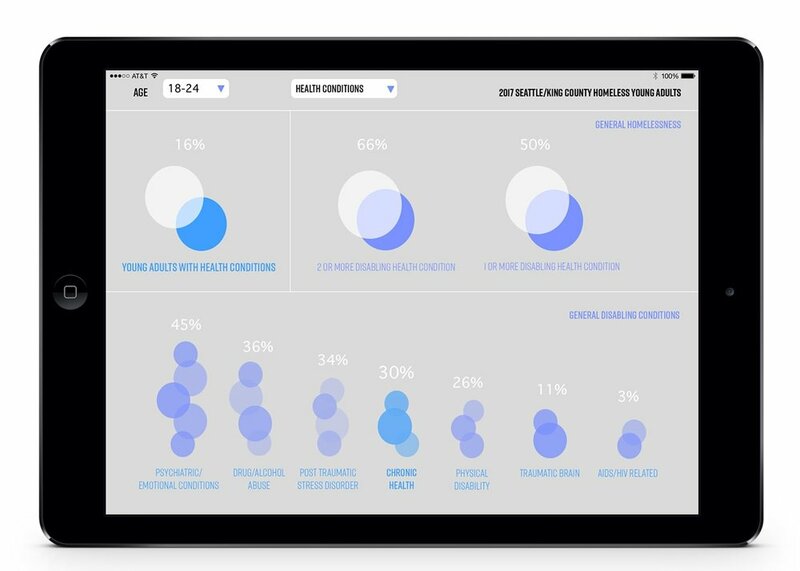 They show charts of various health conditions young, homeless adults struggle with especially those who are chronic.